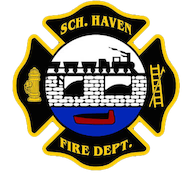 August 28, 2009- At 19:28 the Schuylkill Haven Fire Department was dispatched to 401 University Drive, Rest Haven Nursing Home, for an automatic fire alarm. Crews arrived on scene and did an interior investigation with thermal imaging cameras and found nothing out of the ordinary. Chief 723 (Donatti) cleared himself and all fire units on scene at 20:15. August 28, 2009- House fire on Wilson Street??? August 28, 2009- As Stations 2 & 4 were still in Wayne Twp working on the barn fire, the “beeps” came in for 15 Wilson Street, Schuylkill Haven Boro, for a possible house fire. This call came in at 14:41, and as soon as dispatched the Schuylkill Hose and Liberty Fire were cleared from the incident and were returning to the borough. Since they were on the way back, station 1 and Cressona Engine 41-17 were assigned to the call on Wilson Street. However, before any units could arrive on location (with a confusion in the exact address) they were all placed in service by incident command, stating that there was no fire. All Schuylkill Haven units were cleared from both calls at 15:00. August 28, 2009- Working fire in Wayne Twp. August 28, 2009- At 12:58 station 4 was dispatched to assist district 34 (Friedensburg and Summit Station) on a working barn fire at 204 Blue Mountain Road, Wayne Twp. The first incoming unit(s) were Chief 34-05 (Ulsh) and Engine/Rescue 34-55 confirming a working fire, then upgraded it to a fully involved fire. Engine 737, Tanker 738 and Wagon 736 went responding soon after dispatch. While enroute, Chief 34-05 asked to have Schuylkill Haven station 2 dispatched for manpower. All Schuylkill Haven units arrived on scene to assist with fire supression and overhaul before being “tapped” out for yet another fire in the borough……. August 25, 2009- At 12:46 the Schuylkill Haven Fire Department Dive/Rescue Team was dispatched to 820 East Rosebud Road, Jackson Twp for a possible drowning. Squads 734 and 739 were on the street soon after dispatch with 7 divers and several tenders and other support personnel. The dive team arrived on scene in just under 25 minutes and were given a “size up” of the situation. Three divers from the team entered the water and within a 20 minute span, the victim was recovered by members of the Schuylkill Haven Water Rescue Team. Units were back in the borough by 15:16. August 22, 2009 – At 8:52 stations 1, 2, and 4 were dispatched to 255 Parkway (High Rise) for an automatic fire alarm. Chief 722 (Sattizahn) arrived with nothing showing from the exterior and shortley after it was determined to be an accidental activation. Time out was about 10 minutes. August 20, 2009 – At 18:45 stations 1, 2, and 4 were dispatched to 928 East Main Street (McDonalds) for a MVA with fluids down and no injuries. Chief 723 (Donatti) found two vehicles off the roadway leaking a minor amount of fluids and held the call to E-733 and Rescue 727. August 20th proved to be a very busy day for the Department as this was the fourth and last call for the day. August 20, 2009 – At 15:36 just as units were clearing the previous accident, all three stations were dispatched for any available personnel to 2086 Long Run Road for a medical assist. Crews arrived on scene and helped EMS with lifting and were on scene for about 20 minutes. August 20, 2009 – At 15:19 all three stations were dispatched to 277 Route 61 for a MVA with no injuries and fluids down. As Chief 720 (Peel) and E-737 arrived on scene, they found two vehicles (a work van versus a Corvette) in Rita’s parking lot with minor damages and leaking a small amount of fluids. Chief 720 (Peel) held the call to E-737 and placed Rescue 727 and E-733 available. It was determined that floor dry was not needed and E-737 was also placed available a short time later. Time out was just around 10 minutes. August 19, 2009 – At 16:06 the SHFD Dive Team was dispatched to “The Rock” (Hamburg) to assist in a search for a possible drowning victim. Hamburg’s Water Rescue & Dive team advised all incoming units on the victim’s last known location. SHFD boats were then deployed from the Kernsville Dam docking area, and 4 divers were immediately placed into the water in the proximity of where the victim was last seen. Just as a severe storm began to threaten the duration of the search, and after about 30 minutes of being in the water, the body was located and recovered. Responding units from the SHFD included Chief 720, Squad 734, Squad 739, Utility 734, 7 Divers, and extra support personnel. Time out was just over 2 hours. August 18, 2009- Right around 12:25, Chief 720 (Peel) was sent to the area of Luckenbill’s Family Restraunt on East Union Street, Schuylkill Haven Boro, for fluids down on the roadway. Once Chief 720 arrived on scene, he asked to have station 4 dispatched to apply floor dry to what appeared to be hydraulic fluid on the ground from a leak on a garbage truck. However, before Engine 737 went responding, they were told to cancel because the garbage truck company was cleaning up their own “mess”. Chief Peel was on scene for about 15 minutes.